Should I buy the LaCie 324i? 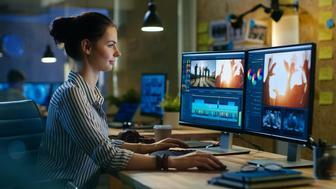 Squarely aimed at print and imaging professionals, the LaCie 324i is a high-end monitor that delivers stunning results. Ideal for business, it’s superb for play too – if you’ve got the extra cash. The LaCie 324i is a 24in monitor aimed mainly at creative professionals. However, with a glut of connection options and an optimum size for both work and play we can see it having fans among gamers and video consumers too. Connected to a Mac Pro by DVI, the display launched in its native 1,920 x 1,200 pixel resolution without any intervention from us. We tested it with Office, a bit of web browsing, Photoshop, Half Life 2 and Left 4 Dead. The colour balance looked great out of the box, with deep blacks and exceptional colour contrast. Not surprising given the display’s wide gamut of 98 per cent Adobe RGB and a mooted contrast ratio of 1,000:1. The 324i’s multifunction stand tilts, swivels and can easily be raised or lowered; and as for the viewing angle, we could barely see a difference in colour or contrast even at extremes. A check of the specs reveals a stated viewing angle of 176 degress. Oh, and you can split the display in to two if you like, giving you two virtual desktops. Our gobs were suitably smacked. The display we tried came bundled with LaCie’s Blue Eye Pro colour calibration tool. If you need to match display to print, this is an easy-to-use combo of a hardware calibration system and software. The difference post-calibration was subtle, which is testimony to the monitor’s ability to plug and play with your Mac, but we did notice some added crispness to vector edges in Illustrator, for example. Finally, let’s return to that gaggle of ports. There’s connectivity for both contemporary computers and video sources, with DVI-D, DisplayPort, HDMI and component video connections. 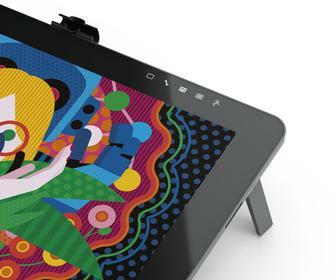 It also features a built-in three-port USB hub, enabling you to keep a scanner and printer close by. The positioning of the ports, at the bottom of the display hidden behind a lip, is a little awkward, but sensible given the 324i’s ability to rotate into portrait mode.